1. What is Cartoon Collections? Cartoon Collections is the premiere cartoon licensing site featuring cartoons from leading publications such as The New Yorker, Esquire, National Lampoon, and newer sources such as The Rejection Collection and The American Bystander. Use our Advanced Search to easily find the perfect cartoons for presentation, publications, websites, promotions and personal use, all in one place. 2. How do I download cartoons? Search for and select a cartoon. Click on the appropriate "Buy Now From..." button for the license option which covers your use of the cartoon. Click on "Instant Download" to pay for the cartoon immediately via credit card or PayPal. Upon completing payment, download your high-resolution cartoon (watermark-free with the longest dimension (height or width) being at least 1,800px) from your private FTP download area and save to your computer. Receive an email containing receipt/confirmation of your purchase and your license agreement with Cartoon Collections. 3. How long will it take to receive an image? Once you can select your cartoon(s), pick a suitable license, pay by credit card or with your pre-purchased credits, you can instantly download a high resolution image, ready for use. 4. The images on the Cartoon Collections website seem relatively low quality - when I buy an image will it be better quality? Yes, all purchased images are high resolution and much better quality. To discourage piracy, all preview images on our website are deliberately of lower quality and feature our copyright watermark. If you license and download an image, the file you receive will be a high quality JPEG image with a longest dimension (height or width) of at least 1,800px. It will not contain our copyright watermark or the image's Search ID. If you license and download a high resolution image but still find the quality or resolution is insufficient for your use, please let us know and we'll do our best to obtain a higher resolution/better quality copy of the image. When you explore Cartoon Collection’s huge cartoon/illustration database, you can use lightboxes to save or bookmark any images you might want to compare or download later. Create your own cartoon collection(s), and name each lightbox for easy reference. 6. How do I work with an artist to create custom artwork for my project? Looking to have custom cartoons created for your product, book, advertising, presentation or other project? Whether you already know which artist you’d like to work with, or need assistance finding the right cartoonist, we’re happy to help. Please contact us directly with the details of your project. 7. Who receives the money for the licensing of the images? The revenue for each license is split between the creator/cartoonist and the website. Artists benefit directly for every single sale of their work. 8. How much does it cost to use an image? Our prices vary according to use, starting at $11 USD. For a full list of our licenses and prices please visit the pricing page of our web site. If you wish to use an image for a purpose that falls outside our standard licenses please email us with full details of the intended use, and we'll get back to you ASAP. 9. I’m not in the US, how to I determine pricing in my currency? In the upper right navigation on the website is a flag, click that icon to dropdown a list of available countries/currencies and select the appropriate country from those available. We currently convert pricing to GB pounds, US dollars, and Euros. 10. Do you accept payment in US dollars, Euros or other currencies? We currently accept payment in GB pounds, US dollars and Euros. Credits are a great way to save money on our licenses, and they work very simply: the bigger the bundle, the more you save. Simply set up an account, purchase a credit bundle then use credits to pay for your license(s). Please visit the credits page for more information using credits and how to purchase a credit bundle. Single images: If you only want to purchase one cartoon, our Instant Download option allows you to immediately download an image for a one-time fee without an account. 12. Can I use any of your images free of charge? Due to the agreements we have with our artists, we do not have the right to grant use of any of their images without the appropriate fee being paid. Purchasing a license to use an image allows you to legally use that work in a specific case for a specific amount of time. The license cost is based on the usage, breadth of exposure and length of time the image will be in use. Visit our pricing page to learn more about licensing options. 14. I want to use one of your cartoons in a presentation - which license should I select? To use any image from Cartoon Collections in an internal presentation that will not be seen by the general public, you would most likely need to purchase our Presentation and Private Use License for a fee of $20 USD. For presentations seen or shared electronically, the fee would be $40 USD. See our pricing page for full licensing terms and options. 15. I want to use one of your cartoons in a publication - which license should I select? Our prices vary according to use and we will require detailed information about the intended publication before we can quote a license category and price. For a full list of our licenses and prices, please visit our pricing page. If you need assistance choosing a license, or wish to confirm your selection, please email us with full details of the intended use, including print run and we'll get back to you ASAP, or call us Toll Free (US/Can):1-888-880-8357 for assistance. 16. I want to use one of your cartoons in a class and I am based in the US - how would I go about this? If you are a teacher or student in the US and wish to use the cartoons in a classroom in a non-profit school, college or university as a teaching/learning aid (and nothing outside this use) under US "fair use" rules you may use the low resolution images displayed on the website free of charge as long as you credit "www.cartooncollections.com" as the source. These images will be low-res and have the Cartoon Collections copyright mark on them. This law does not extend to Canada or other countries. If you wish to obtain higher resolution, watermark-free versions of the images for better quality output, you can purchase our Classroom Use License for $11 USD per image. 17. I want to use one of your cartoons in a class and I am based outside the US - how would I go about this? If you are teacher or student based outside the US and wish to use any of our cartoons for educational purposes in a non-profit school, college or university, you will need to purchase our Classroom Use License for $11 USD per image. 18. I want to use one of your cartoons on my social networking site or in forum posts - is this possible? To use an image from Cartoon Collections on a non-commercial forum or social networking site (Not for commercial gain, for an indefinite period where the URL is part of a blog or a personal page of a social networking site; for example, on personal Facebook profile), this will fall into our $11 USD Non-commercial Social Media License. Alternatively, if your forum or social networking website is intended for commercial gain by promoting a writer's business, selling products/services or generates advertising revenue (for example, on Facebook business page), this will fall under our $25 USD Commercial Social Media License. 19. Can I purchase a cartoon to use on a customized gift? Click on the "Buy Now From..." button for the "Gifts" license option. Complete checking out process (as described in "How do I download cartoons?") and proceed to download cartoon. Go to any gift printing retailer site, such as Zazzle or Cafe Press, and upload/submit the cartoon to be printed onto your gift item. 20. Why can't I download my cartoons? Occasionally customers may not complete the ordering process fully, and the image licensed is never downloaded. Clicking "Continue" after receiving confirmation that your credit card has been charged will take you straight through to a private FTP area to download the image(s) you have licensed, it will also trigger a confirmation email with a link to re-download the image(s) if necessary. We check all orders individually and we will notify you if an order is not downloaded successfully. In these instances you will be given the option of completing payment for the order through a PayPal request. Once this is complete we will send your images directly to you by email. If you have any concerns about an order, please contact us and we will respond ASAP. 21. My credit card payment failed - what should I do? Country: Cartoon Collections is based in the UK. Some cards (particularly corporate cards) are blocked from making overseas purchases. This may be an issue if you are based outside the UK. Merchant type: Some card issuers (particularly American Express) categorize Cartoon Collections as an "Art Dealer" which sometimes means transactions require manual authorization. 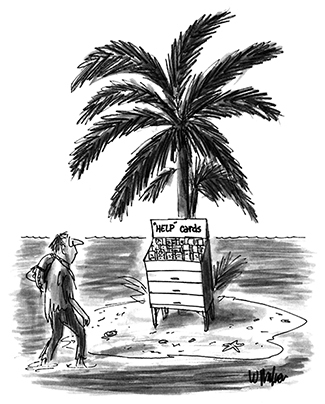 Fraud detection algorithms: Cartoon Collections is based in the UK. If you have recently purchased from merchants in several different countries this may be regarded as potential fraudulent activity by your card issuer. Mis-typed card details: If you have mis-typed your card details, your card transaction will not be authorized. If your card is being rejected, try checking out again to make sure you didn't mis-type card details. If this still doesn't work, contact your card issuer to authorize the transaction, or try a different card. If you find that your order cannot be processed or you would prefer us to place your the order manually, please email us and we will process payment through a PayPal request. This won't require you to sign up for a PayPal account, and all you'll need is a working credit/debit card. After payment has been confirmed we will email you your high resolution image(s) and a receipt along with a copy of your license within one working day. If you experienced technical problems, we would be grateful if you could email us and describe the nature of the problem to us so we can look into it. 22. Why is my shopping cart not working? The reason is most likely because you have turned off cookies on your browser. Our server uses server side cookies to keep track of your shopping cart. This doesn't write anything permanent to your machine, but it does require the cookies function activated so we can temporarily identify your machine and distinguish it from others using the site. Please turn cookies on to complete your purchase, or contact us directly for help. 23. Why have I been contacted by PicRights? We strive to protect the interests, intellectual property, and livelihoods of our artists, and for this purpose we have contracted Picrights Europe GmbH / Picrights Ltd to manage copyright compliance on our behalf. If PicRights have contacted you about a potential copyright infringement, please deal directly with them rather than contacting Cartoon Collections. Once enforcement proceedings have commenced, we can only intervene if you legitimately licensed the images concerned from Cartoon Collections. Still have questions? Then contact us for a personal response.